Processions of geese & their cute offspring is a common sight on Livingston Ripley’s beautiful grounds. Here, many generations parade single file. 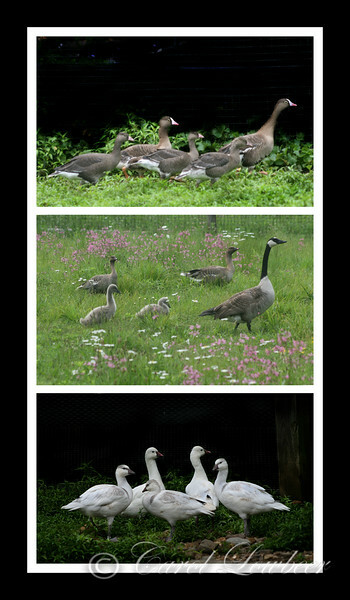 Top: The Lesser White Fronted Goose (an endangered species from Russia), a Snow Goose Family (bottom) and in the middle, a “mixed family” led by a visiting Canada Goose parades for us.